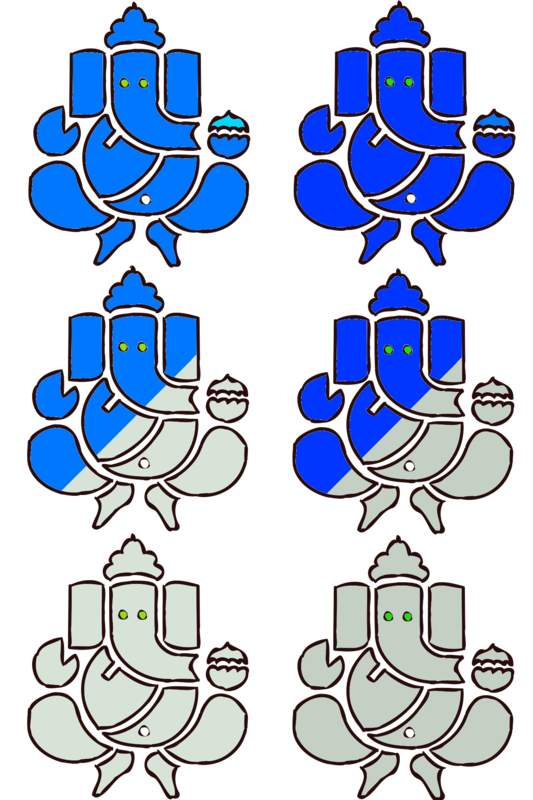 I decided to change the default “star” ratings on my blog to use images of Ganesh. I started with an image from the “open clip art library”, which is free to reuse. The WordPress.com ratings help page describes how the ratings need a composite of either three or six images; six allowing different images for the “cursor over” when you select a rating. The largest size of image is 24*24 pixels, meaning that the composite is 48*72 pixels. Rather than work at this size I trimmed the original image to a square, which was 654 pixels per side. I then created a 1308*1962 pixel image, as shown below. I pasted and coloured six images. The above images are free for any one to use for any purpose, and can be configured directly in the WordPress dashboard as described in the WordPress help on adding custom ratings images . Note that there is currently a bug in the WordPress dashboard. Adding your first custom image works fine but if you change it then it will preview OK, but when you submit changes the dashboard and the blog still show the old image. 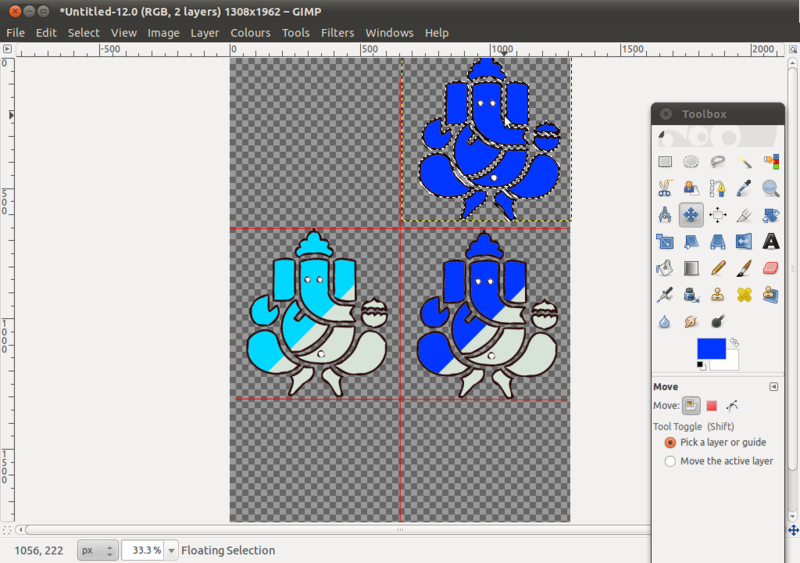 However after a few hours the blog custom image will change. 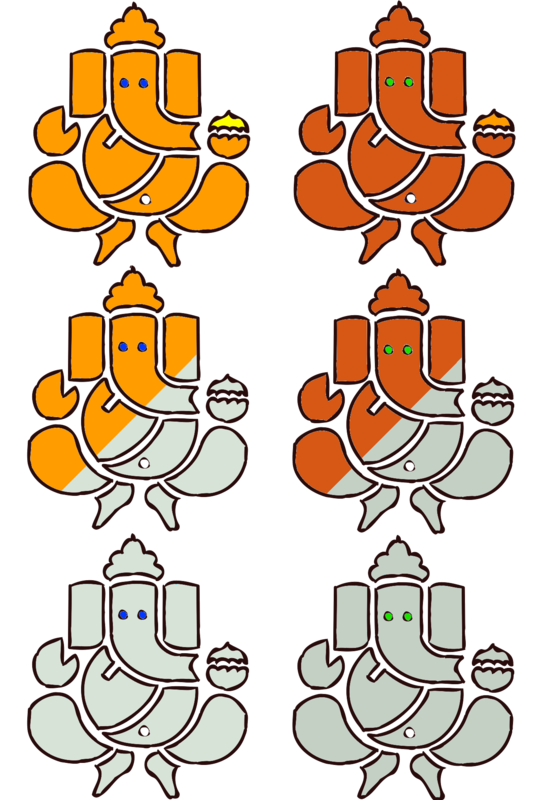 This entry was posted in technical and tagged custom image, ganesh, ganesha, ratings, wordpress. Bookmark the permalink.